City cars are always fun to drive, but in convertible guise, the Citroen DS3 Cabriolet gets an extra dimension of drivability. It’s stylish, fun to drive, and useful. 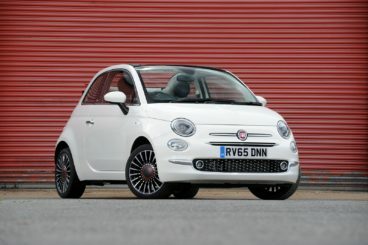 But is it a better choice than the popular Fiat 500C? 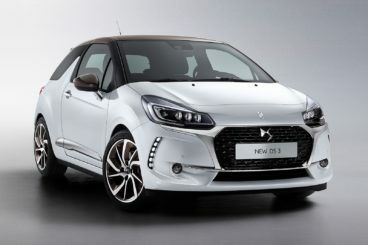 The compact and cute DS3 gives you a chance to enjoy as much fun in the sun as those driving a sports car convertible. However, you don’t have to pay as much money, and you’ll arguably look chicer on the commute to work. The car has a lot to do if it’s to fend off its rivals in the supermini convertible sector, and like the 500C, it isn’t a fully-fledged drop-top. Instead, its door frames and side pillars stay in place. As a result, it doesn’t really look any different to the sharp, modern-looking DS3 Hatchback. OSV takes a closer look at what it’s all about with our 2017 Citroen DS3 Cabriolet review. The driving experience is impressive, with the DS3 bobbing in and out of traffic like an eager bunny rabbit on a hot summers day. Its handling is sharp, and its engines are all geared up for performance. Indeed, it doesn’t really drive any different to the standard DS3 Hatch, which means the steering is responsive, too. It lacks a bit of agility when you take on bends, and you get the impression that Citroen has more focused more on preparing this car for rougher roads than smoother ones. On the sportier models, the suspension gets even bigger, and so do the wheels, which results in a bit of an unpleasant experience when you crash over potholes. The bodywork will shudder noticeably once the roof is down, too, and it gets worse as you pick up speed. However, the handling inspires confidence and even lets you have some fun. Just don’t expect it to be too sharp. In terms of the engines, there are PureTech petrol engines on offer which directly rival the MINI Cooper’s 1.5-litre unit. The MINI’s engine is better, with OSV’s top pick for the DS3’s engines being a 1.6-litre Performance unit that delivers up to 207bhp, and which can get you from a standstill to 62mph in 6.5 seconds. Despite those numbers, though, it’s an engine that never feels tremendously fast. To get it to really gather momentum, you need to work it hard. We reckon buyers will love its bassy sound, though, and it comes with more than enough pulling power to make it useful. As mentioned, the DS3 Cabriolet isn’t a fully-fledged convertible. Instead, its roof rails, pillars and side windows stay in place at all times, which means there isn’t as much wind buffeting as there is in the MINI Cooper Convertible. You can have the roof so that it’s fully retracted, only half retracted, or slightly retracted. One of the problems that the car faces is that it’s up against some younger pups who look fresher inside. This old hand has been around since 2009, with its interior sporting a few mementoes that remind you of its age. The driving position continues to remain awkward, the huge centre console still takes up too much room, while some of the materials and plastics are drab and dated. Still, the dashboard has been updated with a 7” touchscreen infotainment system. However, even this has its flaws, and its buttons aren’t exactly the most user-friendly – some are even difficult to reach. In terms of the interiors usability, it isn’t all that different to the standard DS3 Hatchback. The decent-sized boot measures 245-litres, which makes it just 40-litres smaller than its siblings, and it comes with a smart boot lid that lets you open it vertically. Headroom is good with the roof up, and three adults can fit in the back for shorter journeys. Keep them in there for too long and they will hate you. 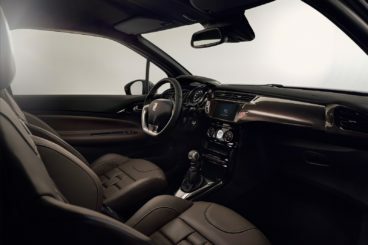 Standard equipment across the range is good, with even the entry-level model getting air conditioning, rear parking sensors, the 7” touchscreen infotainment system, and cruise control. The Elegance model comes with sports seats, bigger alloys, automatic wipers and lights and sat nav. Keep moving up the range, and you get more luxury, including leather seats and Apple CarPlay. Prices for the new car start out from around £19,000 and rise to £26,000. For more information on our leasing deals, check out our leasing page here. In terms of its running costs, the added weight doesn’t bring with it any significant financial penalties. This is largely because the roof is so light, and adds only 25kg extra weight. The cheapest engine in the range to run is the BlueHDI 100. It’s not massively powerful, but fuel economy returns of 81mpg are attractive. The BlueHDI 120 is good for 79mpg, with both these engines exempt from road tax. The petrols aren’t as cheap, but they’re still affordable. The PureTech 110 returns fuel economy of 66mpg while the faster 130 variant is good for 60.2mpg. The 1.6-litre engine is the biggest petrol, and even this is good for returns of 52.3mpg. It also costs just £110 a year to tax. It’s up against some formidable rivals in the cute and compact drop-top market. But it follows on from the handsome DS3 Hatch and looks fantastic. You can get the seats in new blue leather if you wish, or change the colour of the roof. You can also pick different colours for the body, alloys and more. The boot is smaller than the DS3 Hatchback’s, but overall usability is essentially the same. City cars are cheap. But take the roof off, and the price shoots up. Small cars are meant to be easy to park, but poor rear visibility is easily one of this car’s weaknesses. Let’s see how the car measures up against its rivals in the comparison section of our 2017 Citroen DS3 Cabriolet review. The new Fiat 500C comes with all the retro stylings and chic sensibilities of the standard 500, but adds a drop-top roof for those blissfully hot summer days when you want to cool down. And just like the standard 500, the convertible is small, which means it’s super easy to drive around the town. Its steering is accurate, with parking helped by a button that lightens the steering up even more. The ride is a bit on the firm side, but it’s never uncomfortable. The lower specced cars also benefit from smaller wheels and tyres, which help to reduce body roll. The 1.2-litre TwinAir petrol engine is a bit short of power for our liking, and we recommend overlooking this one in favour of the 0.9-litre TwinAir unit that develops up to 104bhp. The MultiJet diesel engine is a good option and delivers up to 95bhp, but in truth, all models are enjoyable on the road. Each one is a bit of a growler, and encourages you to keep revving it harder and harder. And this you’ll need to do if you want to make decent progress. They’re all cheap to run, too. No engine is particularly thirsty, with all of them preferring to sip rather than chug their fuel. The 1.2-litre petrol engine can return 60.1mpg and costs £30 a year to tax, but if you go for the Eco version, you can bump fuel economy up to 65.7mpg. Moreover, this version doesn’t cost anything to tax. The diesel is the cheapest, though, and can return fuel economy of 78.5mpg, while costing nothing in road tax. Take the roof down, and the cabin is quieter than you might have expected. This is partly due to the fact that, like the DS3, the Fiat 500C isn’t a full-on convertible. Only its central section folds away, which reduces exterior noise. The dashboard looks much more modern than the Citroens, and we love the body-coloured trim. The lower-spec models miss out on UConnect, the cars brand new infotainment system, but they do get a new digital instrument cluster. The boot measures 185-litres, which is significantly smaller than the Citroens, but it’s the same size as the standard 500’s. It’s easier to use than the DS3’s, too, and doesn’t shrink in size when you drop the roof. Unlike the two cars we’ve looked at so far, the new MINI Convertible is a full-on cabriolet whose roof folds the right way down. It’s adopted the standard MINI’s excellent drivability, and is an assured, fun-loving city car drop top. Usually, when you remove a car’s roof it fails to live up the driving standards set by the standard car. Not so this time. The MINI Convertible drives just like the hatchback, feeling agile and generating lots of grip. The steering is involving, the throttle is sharp, and the exhaust fizzes with excitement. In terms of the engines, the Cooper D diesel model is powered by a 1.5-litre engine that delivers up to 115bhp, and which can get you from a standstill to 62mph in just under 10.0 seconds. It sounds a bit noisy at times, though, which is why we’d rather point you in the direction of the more refined 1.5-litre petrol engine. This unit develops 134bhp and offers more pace than the diesel. It can do 0-62 in 8.8 seconds, and suits the car’s character more. It’s quiet too, but still eager and up for some fun. The diesel engine is the most affordable out on the road, though. It can return fuel economy of 74.3mpg, and costs nothing in road tax when paired up with a manual gearbox. Pair it up with an automatic, and tax goes up to £20 a year, while economy drops to 72.4mpg. The 1.5-litre petrol engine is still cheap to tax, costing £30 a year, while the economy is 55.4mpg. Inside, the MINI Convertible will rock your socks. The cabin is beautifully finished, and houses more luxury than it ever has done. The materials are of a very high quality, while the layout is easier on the eye. The big circular screen that previously dominated the dash is now used just for the infotainment screen, while the rev counter and speedometer are placed in front of you. And despite the roof coming all the way down, unlike Citroen and Fiat, wind road isn’t too bad. Even on the motorway, you won’t notice too much buffeting. It might be a different story on windier days for your rear-seated passengers, who could easily emerge from there looking a bit windswept. But there should only be two of them to complain – unlike the Citroen DS3, you can’t squeeze three people into the back of here. The MINI Convertible enjoys more interior space on the whole, though, while the boot has grown by 25% so that it now measures 215-litres. Take the roof down, and you still get 160-litres, which is impressive. The DS3 Convertible faces some strong competition the city car drop-top market. Its roof doesn’t fold completely, which presents both pros and cons. In one sense, it means the car isn’t too much heavier than its hatchback sibling, which means agility and handling are the same. In another sense, it means rear visibility is affected by thick pillars. All convertibles come with a compromise, though. If you’ve always wanted a friendlier and chicer city car drop-top for the commute to work, the new Citroen DS3 Cabriolet is a fine choice.